We went to Washington on Sunday to do a little shopping. I got new running shoes for work and unflavoured protein powder and approximately 20 different types of cheese products. I REALLY LOVE CHEESE, OK?? Let’s count the number of cheeses I talk about in this post. It took us a long time to cross the border so by the time we got to Bellingham it was lunchtime. 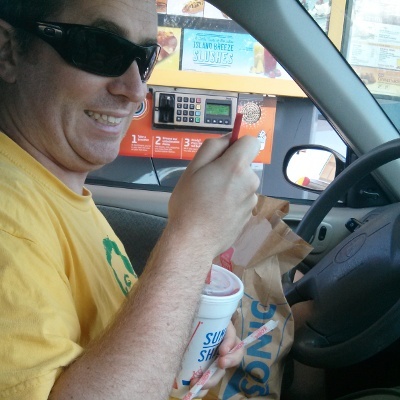 I saw Sonic on the highway exit sign and made the executive decision that we would eat there. Probably no one knows this except my dad and Rosemarie(?) 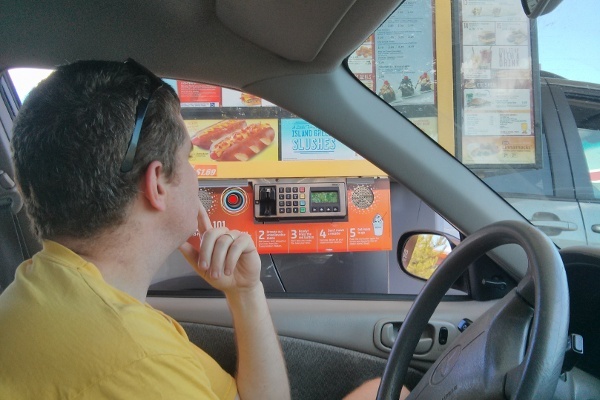 but I have been wanting to go to Sonic Drive-In for like… my entire life. For some reason even though mom and dad were willing to take me there (I think??) we were never in the right spot at the right time. 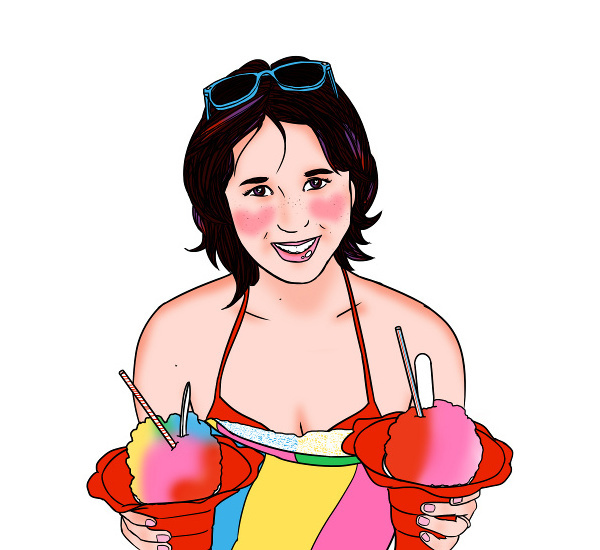 They are known for their waitresses on rollerskates and customizable limeaids. You drive in and park and then order through an intercom and then they bring you your food in your car. I thought they would have things to hook on your car door like on the Flinstones but actually they just gave us our food in a bag, ha. I had a cheesy bacon pretzel dog (1) and chilli cheese tots (2), and Scott got a chicken burger and onion rings and we split a strawberry limeade. Everything was fairly good. The onion rings were oddly sweet though, like dessert onion rings. The strawberry limeaid was DELICIOUS. If I ever go back to Sonic I’m going to order and XXXXXXXL drink. It had chunks of real strawberry and a half a lime at the bottom. Mmmm it was tasty. 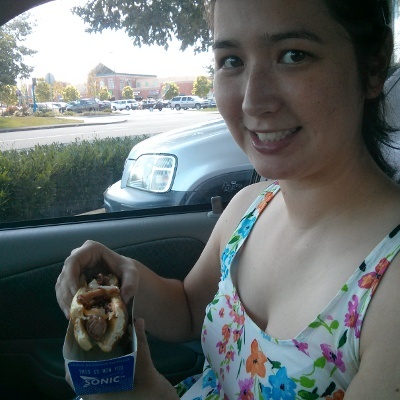 I’m glad that I finally got Sonic checked off my bucket list. After lunch and the mall we went to Trader Joe’s. We seriously stocked up. It’s easy to go overboard in Trader Joe’s. 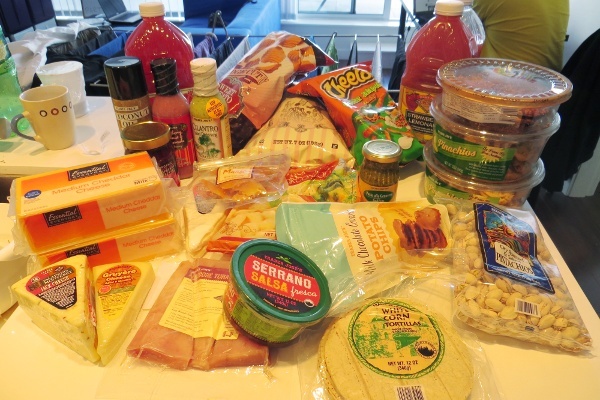 We got heaps of strawberry lemonade, three types of cheese (gruyere (3), jalapeno monterey jack (4), brie (5)), frozen gorgonzola gnocchi (6), fancy salad dressings (cilantro, and cranberry walnut gorgonzola (7)), lots of white chocolate pistachio cookies, lacey cookies, and more. Yet again they didn’t have any cookie butter. Apparently there is an actual shortage right now. I am seriously cursed… how many times have I been to Trader Joe’s and STILL no cookie butter for me??!! It is beyond ridiculous now. Please can someone mail me some?? I will pay you back. 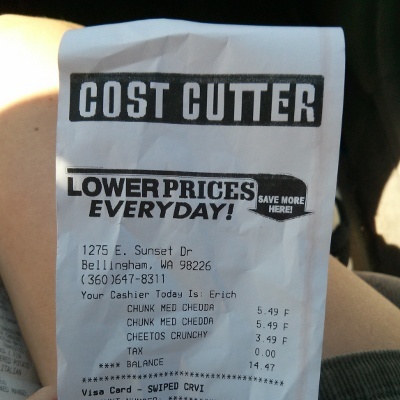 Finally we stopped by a regular grocery store to get yet more cheese (900 grams of cheddar (8) for $5.49??? O_O) and jalapeno Cheetos (9). Mmmmm cheese. Cheese #10: Cheetos macaron??? AHAHAHAHAHAHAHA I WANT TO TRY THIS. This is incredible. Time to go to NYC!! Every time I think of the Cheetos macaron, I gag. Also, I remember all of us trying to go to Sonic multiple times or it’d be closed or it’d be the wrong time or we just ate.